The Kingdom of Saudi Arabia always succeeds in making the necessary arrangements to best facilitate the pilgrims of Hajj and Umrah. The number of pilgrims who visited Saudi Arabia for Hajj in the year 2012 was more than 3 million and the coming years are expected to give rise to this number. This naturally adds on to the responsibility of the Kingdom and it needs to undertake the necessary plans to have the congestion free transport of the pilgrims between the holy places. The road network that links the holy cities of Makkah and Medina gets congested because of the rush of this massive number of pilgrims and the religious tourists. In this scenario, Saudi Arabia’s Ministry of Transport is planning a number of projects for the development of transport system and several projects are already on their way to successful completion leading to the economic boost of the kingdom. The plan for the construction of new metro system in Medina is inclining up and its contract was won by the Turkish/Lebanese joint venture between Khatib & Alami and Istanbul Ulasim. This metro will get connected to the Haramain high-speed railway line which is already undergoing the phase of construction in the city of Makkah. Majority of the pilgrims make their way to Saudi Arabia through Jeddah airport and therefore the city of Jeddah is also taking serious considerations into these metro plans. 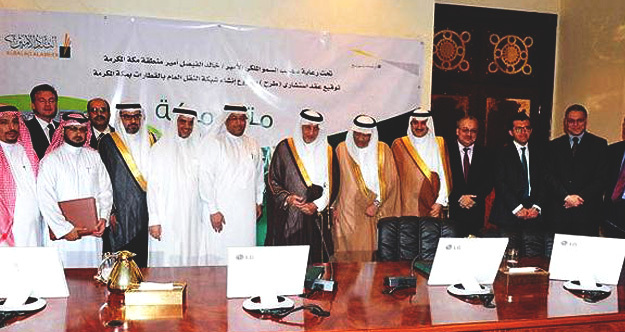 A joint-venture between Jeddah Municipality and Jeddah Urban Development Company was held and Jeddah Metro Company was shaped in March, which is now looking into the planning and development of new projects. On the other hand, the city of Riyadh plans on a metro project that is almost on the finalizing stage. The interested investors and construction companies who are contending to earn this project are under evaluation. In the coming months, more seriousness will be seen in the transport plans in Saudi Arabia as the government is really ambitious about the metro networks.